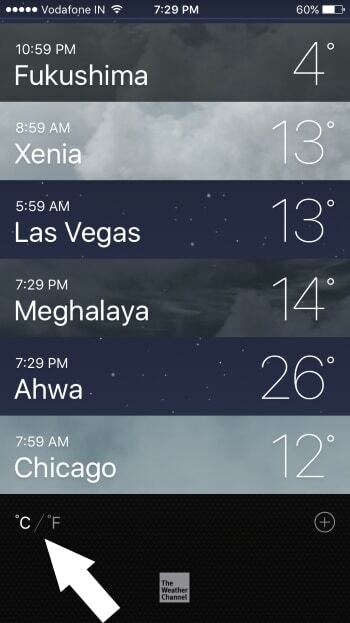 The weather app is one of the most favorite apps for the weather forecasters, weather analyst, and reporter. Depends on Geolocation people are curious to know the live temperature in common units once you set (Celsius to Fahrenheit) if you don’t need to change it for other places (Cities) added by you in the list. 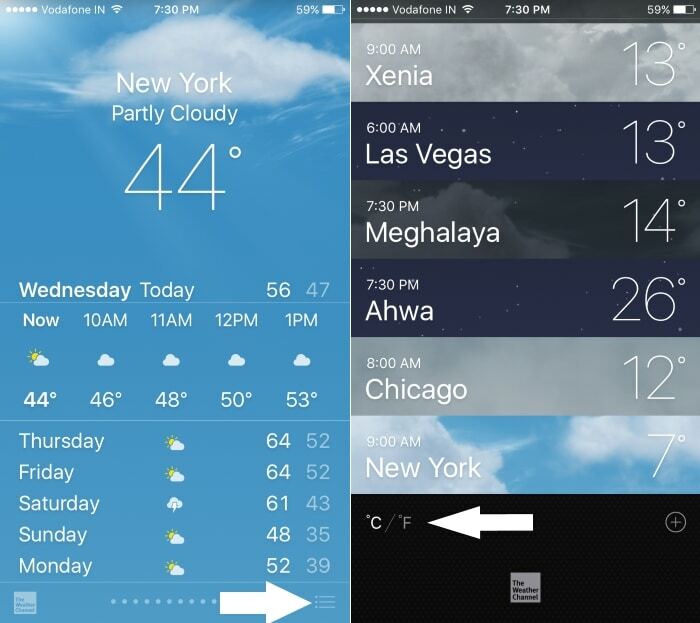 Know how to add or remove places on iPhone weather app. 1: Go to the Weather app on iPhone/ iPad, Open it. 2: First screen will show the list of all places add by you on screen, Scroll down to the last and find C/ F.
On Every single tap, you can change temperature units. If you are on Detailed Weather information screen, Tap on three horizontal icons at the bottom right corner of the screen. Repeat step one, Go to at last of the list and Tap on C/ F switch option at the left/ bottom. On a single tap, we can see immediate changes preview in all temperature measurements. If you added many locations (20 to 30 or more), it will take time to apply or made changes at all. 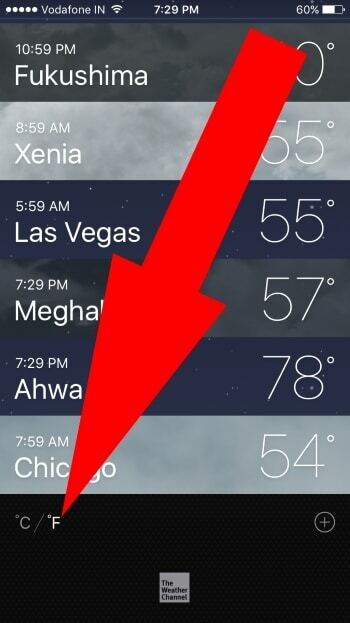 I checked & tested for saved ten different places on my iPhone weather app. Most of the people are confusing and asking about whether an app is showing the wrong temperature, Because of the faulty unit used in temperature measurement. Scroll down to the screen, Find the highlighted unit in an app at below. That’s is currently using. 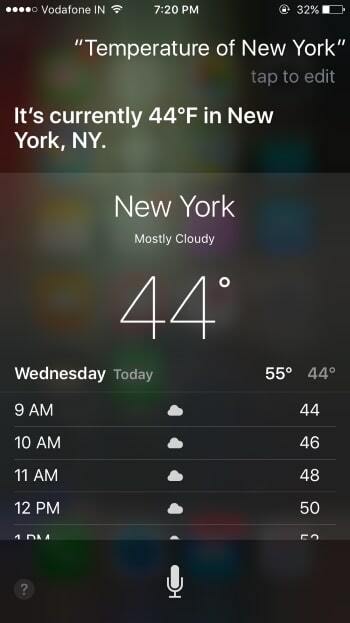 Siri will show below the screen, in the same measurement that has been set in weather app iPhone/ iPad. 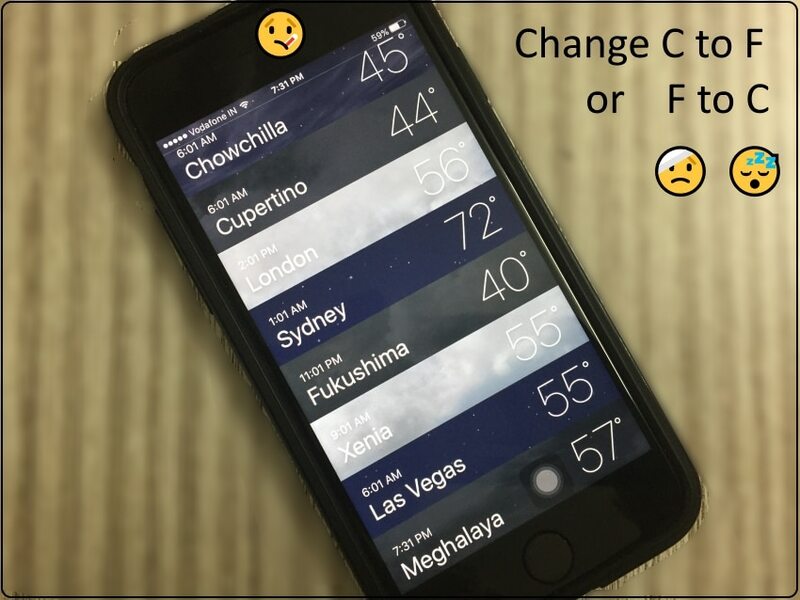 Share your question and helping suggestion on Change Celsius to Fahrenheit on iPhone in below comment box or share with your friends on Facebook, Twitter or Google+.